Bowler was an active participant in student life, including Kappa Alpha Theta, Classical Club, Phi Delta Psi, Phi Beta Kappa, and a recurrent May Day Folk Dancer. 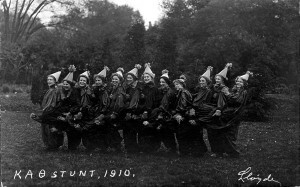 In the early 1900s, dances and concerts were primary social activities for sorority girls outside of coursework and studies. As a Kappa Alpha Theta, Bowler participated in another popular pastime–“dress up” parties. These impromptu occasions centered around recreating real life events, such as weddings, using costumes to capture the chosen theme. 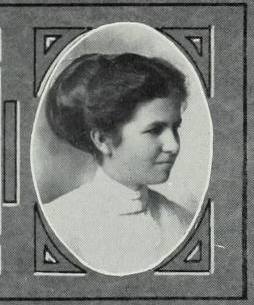 After graduating with her Masters in 1911, she taught English at her home high School in Alton, IL until 1915. Kappa Alpha Theta members pose as clowns for May Day, 1910. Over the next several decades, Alida Bowler’s life confirmed the Progressive belief that education improved citizenship and produced the leaders needed for economic modernization. At the end of the nineteenth century, women were the moral guardians and protectors of the home. During the Progressive Era, female reformers argued that women should exert their moral authority over public issues such as public sanitation and education, which ultimately affected the home. Women’s organizations worked for reform, conducted research, implemented programs, and lobbied for legislative issues dealing with education, healthcare, and political corruption. The Great War significantly changed the trajectory of the country and the role of women outside the home. During the War, Alida Bowler served in France and Romania with the Red Cross, and continued working in Romania until 1920 with the American Relief Committee. Russian refugees fled Odessa when the city fell to the Bolshevik army and were fed, clothed, and received medical attention for typhus; “Nonetheless the Russian Volunteer Army loved us none the more though they continued to eat our corned beef and wear our pajamas,” observed Bowler. 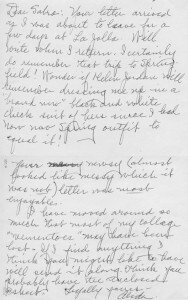 Letter from Alida Bowler concerning the history of Kappa Alpha Theta. Alida Cynthia Bowler devoted her life to helping others in need, including victims of war, troubled children, and the racially downtrodden. The daughter of a farmer from Alton, IL, she exemplified the Progressive vision shared with the likes of Charlotte Perkins Gilman, Susan B. Anthony, Emma Goldman, and Jane Addams. Kappa Alpha Theta Delta Chapter, 1895-1925, Kappa Alpha Theta History, Record Series 41/72/27, University of Illinois Archives. 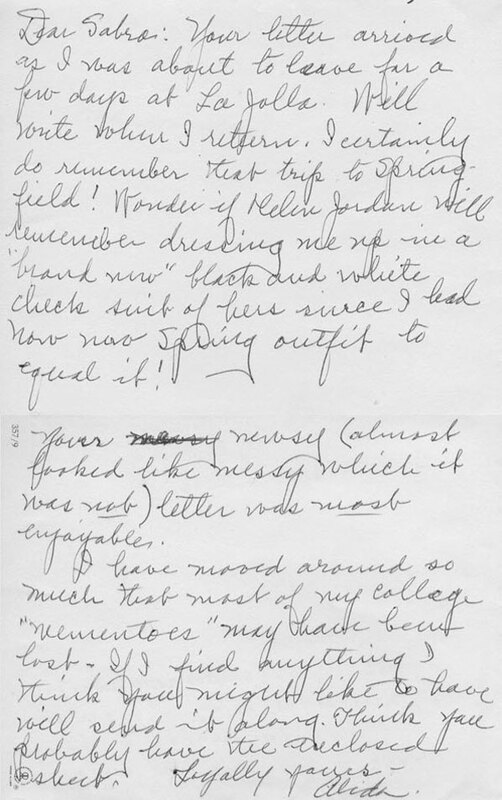 “Alida C. Bowler ’08 Tells of Rumanian Relief Work,” Daily Illini, January 8, 1920, p.8. The Semi-Centennial Alumni Record of the University of Illinois, 1918. Rusco, Elmer R., “The Indian Reorganization Act in Nevada: Creation of the Yomba Reservation,” Journal of California and Great Basin Anthropology, vol. 13 no. 1 (1991), p. 81.